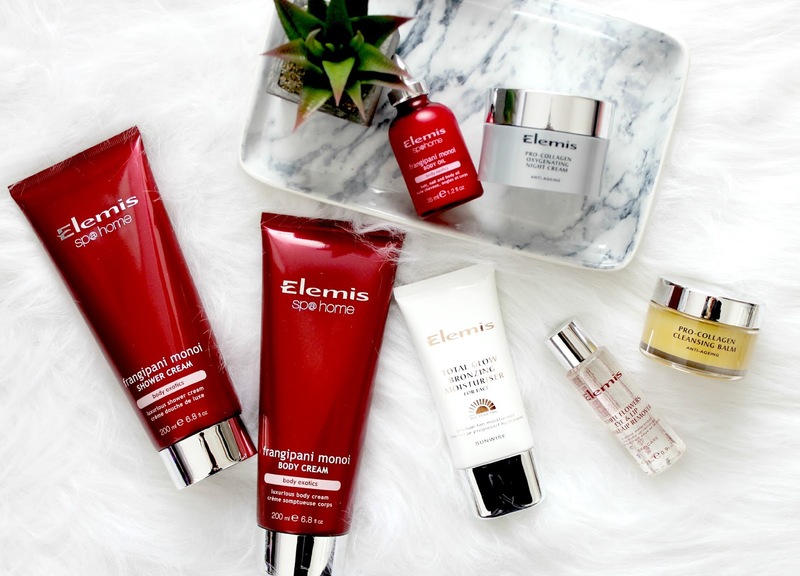 As I'm sure you all know by now as I rave about their products ALL the time, Elemis is my favourite skincare brand, hands down. I've tried a huge range of their products now and haven't been let down by any of them. They do exactly what they say they will, never give my skin any adverse reactions and they always leave me feeling like I've just had a pamper at an expensive spa. I just love love love them! The only thing that isn't so great is their price tags - Elemis products are known to be quite expensive and whilst I think they're completely worth the price tag, I know not everyone can afford to spend a lot of money on their skincare. With this being said, it's always exciting when QVC launch limited edition collections of Elemis products at heavily discounted prices. 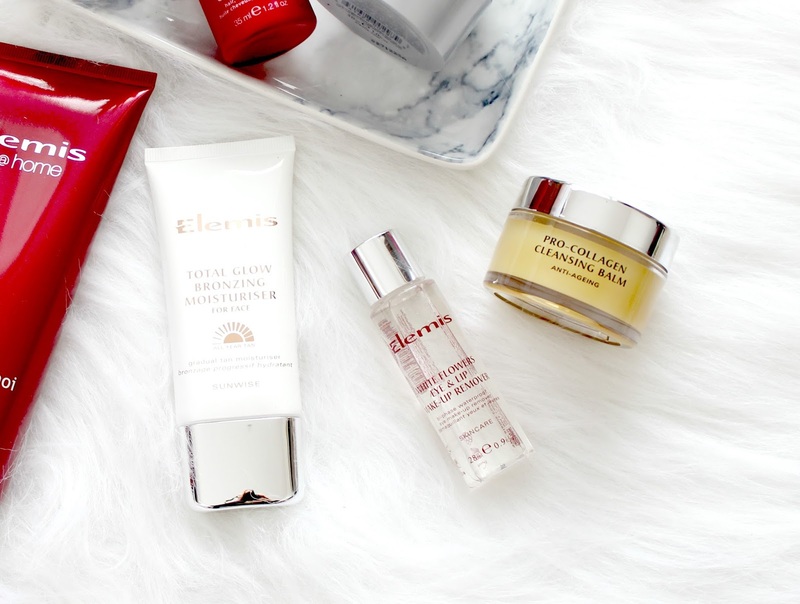 Their up and coming TSV which stands for Today's Special Value and lasts for one day only is their Elemis 'Skin Radiance Face & Body Collection' which includes seven of the brands fabulous skin and body care products. Due to launch at midnight on Sunday 12th April, this limited edition kit will be sure to get both your face and body looking radiant in time for the Summer sun. The set includes four skincare products and three body products so there's a great mixture and having tried every single one of the products myself, I can assure you they're all amazing. There's two of my all time favourite Elemis products included - the Pro Collagen Cleansing Balm and the Pro Collagen Oxygenating Night Cream. The Pro Collagen range is absolutely fantastic and if you know me personally, you'll know I'm forever recommending it. The cleansing balm literally melts away all of my makeup in a matter of minutes and leaves my skin feeling soft, supple and hydrated. The night cream is perfect to use after the cleanser and although it's a highly hydrating and thick cream, it has a lightweight gel like formula that sinks into the skin straight away leaving no sticky residue. My skin always looks so healthy and radiant after using these two products so I can see why they're included them in a skin radiance kit! 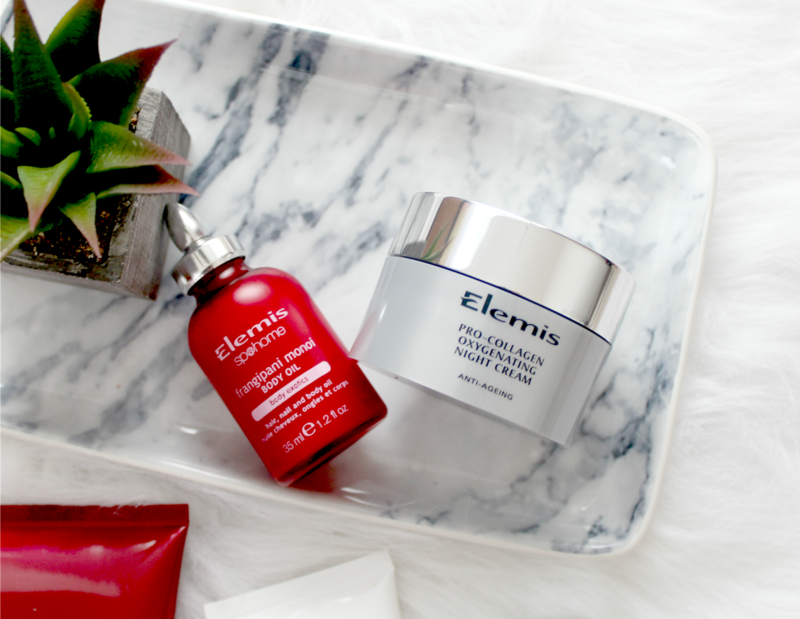 The other two skincare products are fairly new additions to the Elemis range but again, they're both fantastic. The Total Glow Bronzing Moisturiser is perfect to use underneath makeup as its lightweight whilst still providing a dose of moisture - its also enriched with skin boosting ingredients like green tea and ginger whilst gradually building a natural looking tan with continued use. Finally, the eye and lip makeup remover has an oil based formula and it removes heavy eye and lip makeup in one simple swipe. This is great if you're like me and you love to wear black eyeliner and bold lips. There's nothing worse than having to scrub at the skin to try and remove makeup so this product makes that task a lot easier. 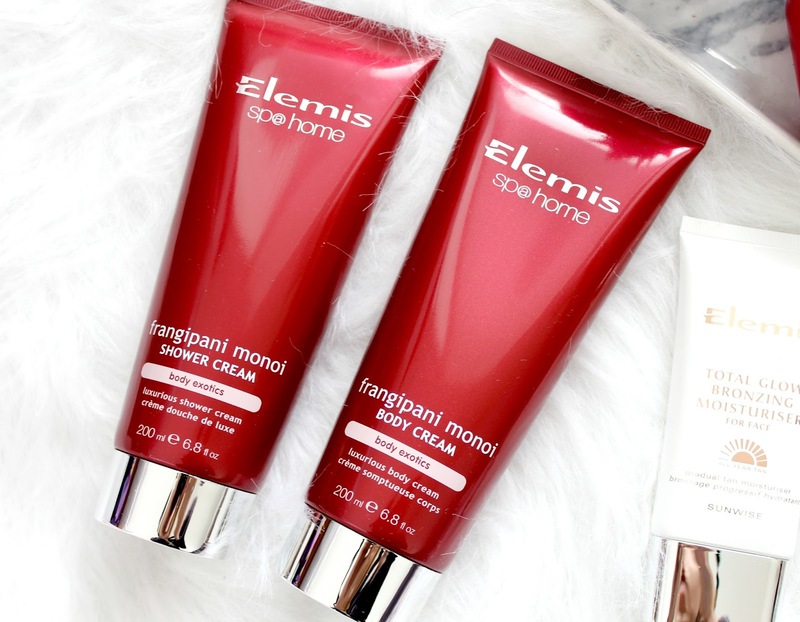 The body products are just as lovely with the trio being from Elemis's Frangipani Monoi range which smells incredible. You get a shower cream and body cream, both of which are full size products and a sample size body oil. The three of them work beautifully together and leave my skin feeling so soft and smooth. Plus, who doesn't love slathering themselves in yummy scented body products? It always feels like such a treat and great for a pamper night. Now for the exciting part - the price! This collection is being sold on QVC's Today's Special Value and for one day only, you can get all of these products inside a lovely clear wash bag (I'm already planning to use mine for my holiday) for under £55, despite the contents being worth over £170. Amazing right? If Elemis is a brand you've always wanted to try, now is the time to do so as you won't find their products cheaper than this anywhere else. I also think this would make the perfect gift so if a special lady in your life has a birthday coming up, this would be a lovely option so she can really pamper herself. You could even split the products into two gifts - one being skin care and the other body care. To get your hands on this limited edition and amazing value for money collection, make sure you tune in to QVC (sky channel 650 or Freeview channel 16) at 12pm on Sunday 12th April. It will be available to buy from 12am midnight on the 12th for 24 hours or until it sells out! If you miss the 12am launch time, you can tune in for a full hour show at 11am with several more hours during the day. Alternatively, you can buy online at www.qvcuk.com from midnight on the 12th. What do you think of this collection? Will you be tuning into QVC to get yours? Elemis is one of my favourite brands! I bet these products are amazing! I'm so amazed at the price they're going to be offered for, that's a serious bargain for so many beautiful products! Amazing price, great bargain. I need to try this. Thank you for sharing. I do love Elemis, so both sound lovely to me, and even better at that price! I have heard a lot of good things about these products, and you got them for an incredible price. I may have to hunt around and try and find them, as I love getting my hands on new skin care. Yves Rocher Wrinkle & Radiance Serum + GIVEAWAY!